Beautiful self-contained annexe/duplex on 2 floors. 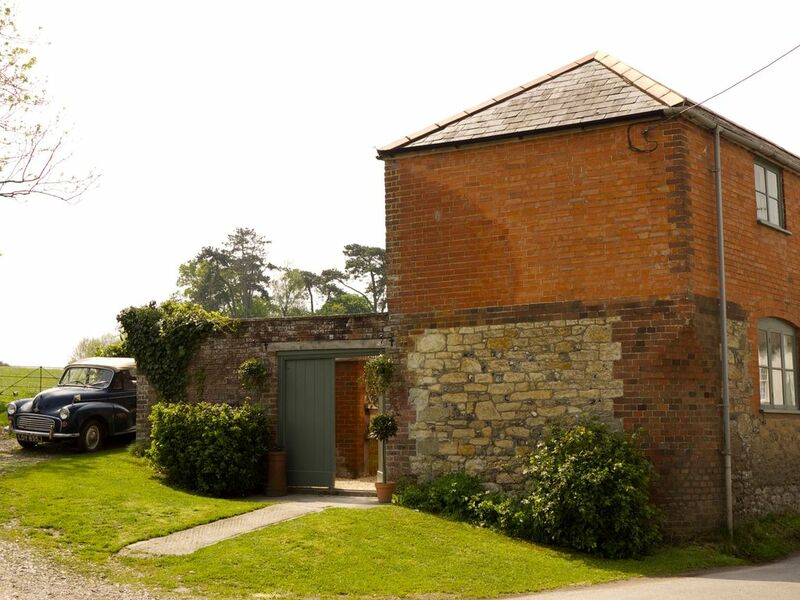 At the foot of Hambledon Hill, an Iron Age hill fort, the annexe has a great location with beautiful views. King-sized bed with 100% white cotton bedding & linen. Bijoux en-suite shower room with slate flagstone floor, heated towel rail & underfloor heating. Lounge has living flame stove, 2 comfortable sofas, coffee table, small dining table & chairs, Smart TV & DVD player. Huge glass door to outside courtyard. Kitchenette has solid wood cupboards & worktop, 2 ring induction hob, Belfast sink, fridge, mini-oven & microwave to prepare basic meals. Private courtyard with BBQ, chiminea, table & chairs. Cot, highchair & picnic set available. 100% WIFI signal & high speed broadband. Please note that shower is narrow width. Currently no stair gates at property. Please take care with small children. Lovely cottage very compact but everything you need is there. Very good location.owners very friendly and welcoming. Comfy bed and furniture.. The cottage annexe was delightful. We had a brilliant week end. There was everything you would need for your break away from home. Child Okeford is a lovely village with a good pub resturant (The Bakers Arms) and a good Post Office that sells homemade bread,cakes etc. Philip and Sarah were lovely and very helpful. We would book again without a second thought. Beautiful cottage in this lovely part of the country. Phil and Sarah were very welcoming and charming. We woud love to got back another time. An attractive cottage beautifully presented. Small and cosy with everything one needs for a country retreat. Lovely position with access to good country walks, a friendly local pub, village shop and organic farm shop. The owners are welcoming and helpful - nothing too much trouble. A comfortable stay in a lovely rural place. The "Annexe " lies just below Hambledon Hill so it's a perfect base if you enjoy walking and spending time in beautiful countryside. The accommodation is perfect for a couple; it is clean and well furnished and the owners are very welcoming and helpful.